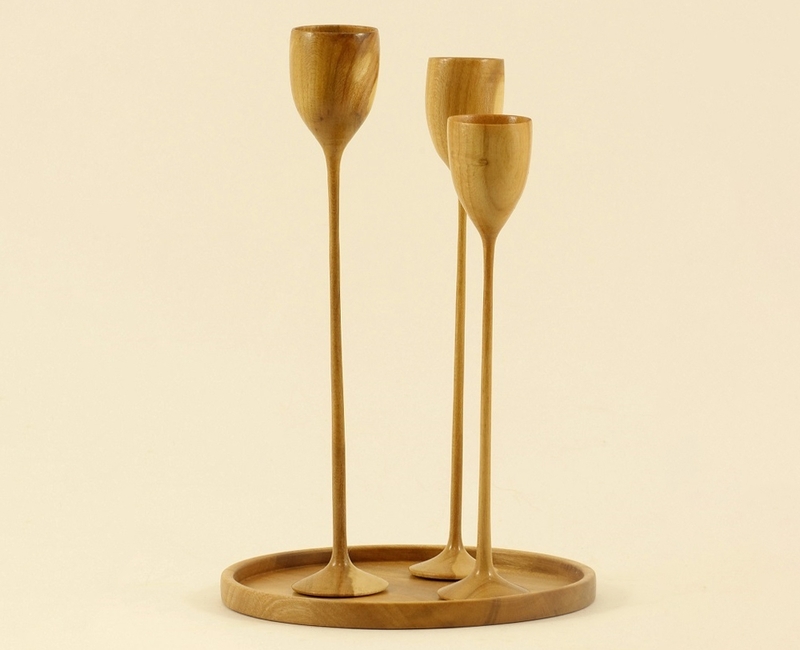 As a child, Kathleen was introduced to woodturning by her father. She was fascinated as chips flew off the spinning wood. It wasn’t until after his death that she first attempted, rather unsuccessfully at first, to turn something on the lathe she’d inherited from him. “Many of the woods I use are from trees that have been cut down due to disease or to make way for construction. This is wood that would otherwise be burned or end up in a landfill. To me, it is exciting to find the hidden beauty in a chunk of wood. Even a very plain piece of wood offers design opportunities. 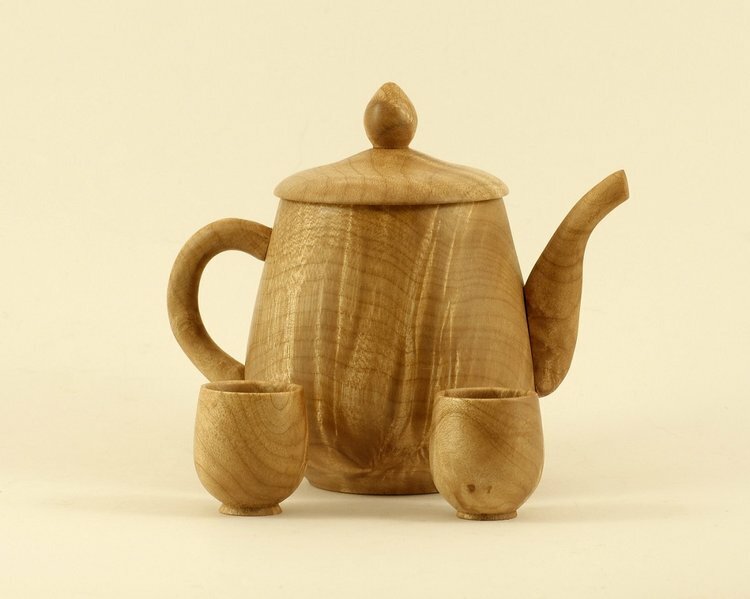 When working with plain woods, I often enhance the wood by carving or burning. 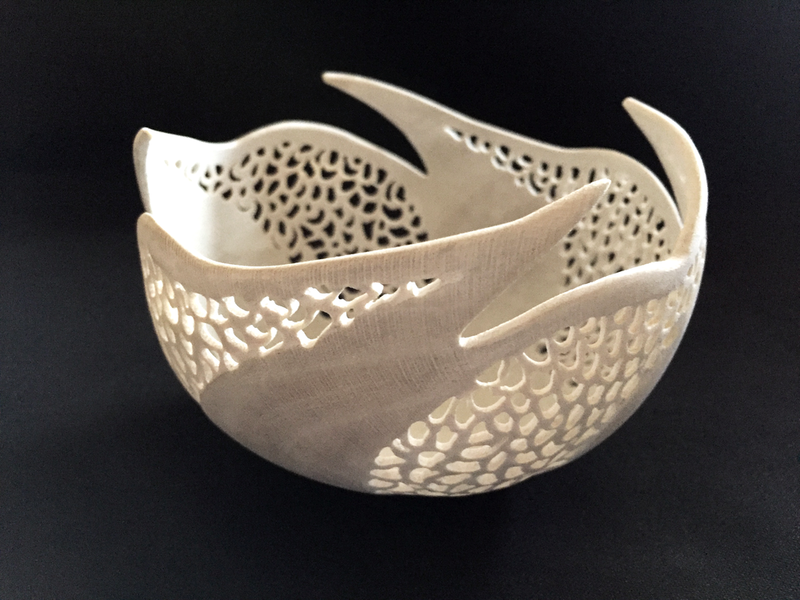 My carved and burned designs mimic textures and patterns found in nature. 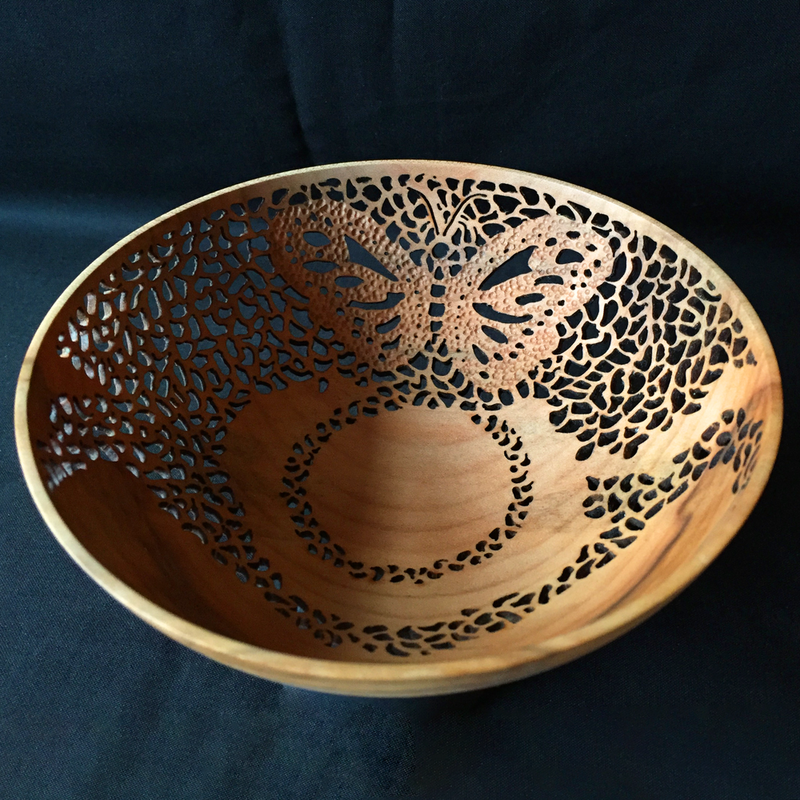 Kathleen often demonstrates woodturning for the Guild at events such as Art in the Pearl, the Vancouver Recycled Arts Festival, the Cark County Open Studios Tour, and the Gathering of the Guilds. 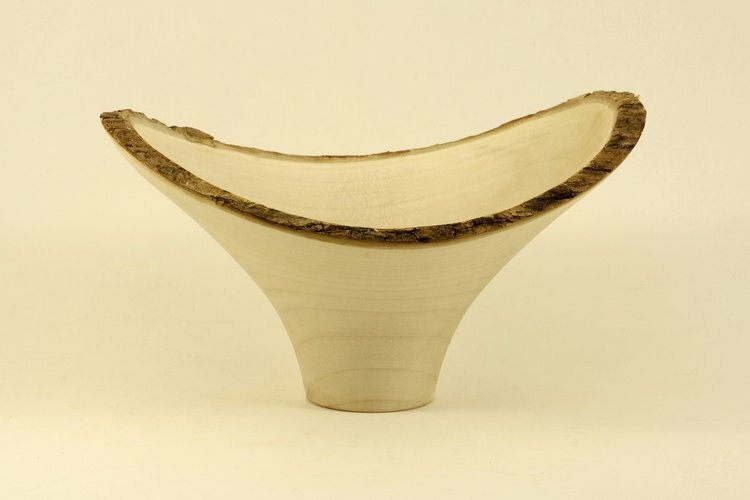 In 2015, she was elected to the Board of Directors of the American Association of Woodturners. Her work is available in several local galleries.